In December 2010, the Minister for Disabled People announced that the ILF is permanently closed to new applications and the Fund announced its priority remains to deliver an excellent service to our users. By December 2012, the Government published their response to Consultation on the future of the Independent Living Fund. At the same time, all the consultation responses were published, along with a Impact Assessment and an Equality Impact Assessment. In March 2014 the Minister for Disabled People announced that the ILF will be closing on 30 June 2015 and from 1 July 2015, the funding and responsibility of ILF care and support needs ouldl transfer to local authorities in England and the devolved administrations in Scotland, Wales and Northern Ireland. [DWP Press Release: Future of the Independent Living Fund 06 March 2014]. This decision was challenged legally and became the basis of many protests and demonstrations. On 08 December 2014, the High Court has announced its decision on the judicial review case between 2 Independent Living Fund [ILF] users and the Secretary of State for Work and Pensions. The court dismissed the claimants’ application for judicial review and upheld the government’s decision to close the Independent Living Fund on 30 June 2015. [Disabled men lose high court bid to stop Independent Living Fund closure Guardian 08 December 2014]. In March 2014 Devon County Council updated their Impact Assessment on Cessation of the national Independent Living Fund and transfer of funding to Devon County Council, originally published in January 2014. The Impact Assessment points out that in Devon there are 177 people received ILF funding, 75% of whom have a learning disability as their primary need and 25% of whom have a physical or sensory disability as their primary need (some of these people will have a combination of both learning and physical or sensory disabilities but one type of disability has to be identified as their primary need). Of the 177 ILF recipients, 156 are already known to Devon County Council, and 21 are not known to the local authority. Then in November 2014, DCC published a position statement on the ILF closure. At the Devon County Council meeting held on 19 February 2015, Cllr Rob Hannaford [LAB, Exwick/St Thomas] asked a question of Cabinet member, Stuart Hughes [CON, Sidford/Sidmouth], on the the future of the Independent Living Fund within Devon. 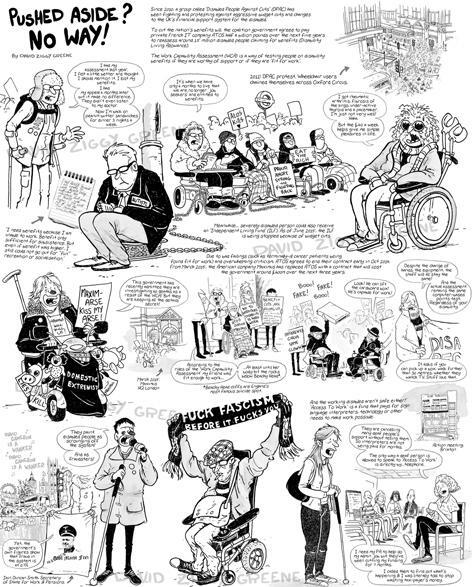 On 15 April 2015 campaigning group Disabled People Against the Cuts sent out Freedom of Information requests 151 English Local Authorities – responses were received from 147 councils and a summary was published on 25 June 2015. DCC: it is up to the government to ring fence the funding in relation to ILF if it so chooses. If it does not do so, we will not set a ring fence; however we are budgeting to spend our estimate of the funding entirely to replace the Independent Living Fund. DPAC Q2: Have you received the details of how much money you are being allocated and if so how much is that? DCC: The Department for Communities and Local Government is yet to state the allocation that local authorities will receive. DPAC Q3: When will you be starting reassessments of ILF users and when do you anticipate completing those assessments? DCC: All recipients of ILF in Devon have recently received a letter from DCC communicating that they will be offered an assessment of their needs. The assessment process will start after the Easter period. DPAC Q4: What arrangements are you putting in place for those ILF users you have not reassessed by 30th June to continue funding their current ILF care packages until an assessment has been carried out? DCC: We will ensure that all recipients of ILF are reassessed by 30th June. DPAC Q5: Do you have contingency plans in case a change in Government at the forthcoming election alters the ILF funding situation? DCC: No, we are planning to implement current guidance unless directed otherwise whether that be by the existing or a future government. Looking closely at the response to Q1, Devon County Council seem to be saying that because the Government isn’t setting a ring-fence, we won’t be setting one either. But in committing budget to spend our estimate of the funding entirely to replace the Independent Living Fund is an effective ring-fence. Curious! 08/12/14 | The end of #ILF? Back in January, I e-mailed Ed Milliband with a plea to #SaveILF – this open letter was copied to Kate Green and Rachel Reeves. I received a reply from Ed in March. Thank you for your email to Rachel Reeves regarding the Independent Living Fund. She has asked me to respond on her behalf. Labour strongly agrees that independent living is crucial to ensuring that disabled people have the same rights, choices and chances as any other citizen. Labour opposed the Government’s plans for closure of the Independent Living Fund. However, as you know, judgment was handed down recently in respect of the recent legal challenge against the government’s closure plans. The case made by the campaigners was rejected by the judge, and it now seems certain that the Fund will close, as the Government planned, in June 2015. Following closure of the Fund, individual local authorities will make decisions about how resources are applied. Ed Miliband has been clear that Labour is determined to work with local authorities to protect disabled people’s ability to live independently. Labour will work with disabled people, including existing ILF users, and councils to design and implement guidance for local authorities to help protect the thousands of disabled people affected by the decision. The right to live independently is fundamental to the vision for “whole person care”, to be delivered through the integration of our health and social care systems. While we’re aware of plans in Scotland, Wales and Northern Ireland to continue funding, reinstating the Independent Living Fund in England would have limited reach and fail to answer the long-term care and support needs of disabled people. Labour is committed to working with disabled people, DPLOs, local authorities, families and carers to ensure we design the best model of support, building a new framework which provides all disabled people the chance to live independently. Please find ]a link to] Labour’s plans for a Better Future for Disabled People, which may also be of interest. This election is a choice between a failing plan and a better plan for working families. The Tories’ plan is failing working families because they choose to prioritise helping a few at the top. Labour’s plan is based on a simple truth: that Britain only succeeds when working families succeed. That’s why Labour’s plan offers a better future: for living standards, for the next generation, and for the NHS. I’ve long supported the aims of Disabled People Against the Cuts [DPAC] and I am proud that now I been accepted as a Full Member. Last week, I joined their Day of Action in London when they were protesting against Maximus taking over the contract for the notorious Work Capability Assessment. And I’ve campaigned with them the save the Independent Living Fund. I contacted key people within the Labour Party to ensure that in the short term, the 17,000 in the ILF user group continue to be supported. I believe this means that when funding is transferred to top-tier local authorities at the end of June 2015, they are ring-fenced to continue to support the current user group. I hope and believe that an incoming Labour Government would deliver guidance on this matter as a matter of urgency asap after 7 May. In the medium term, there needs to be protection for existing ILF users and care packages need to be monitored to ensure the needs of current ILF users are continued to be met by local authorities. But I have a long-term goal – that Independent Living is mainstreamed within the plans for broader integration of health and social care. As a grassroots Labour Party activist, I am optimistic that as we approach the General Election more will be heard on many, if not all, these points. Thank you for contacting Ed Miliband about the Independent Living Fund. Labour strongly agrees that independent living is crucial to ensuring that disabled people have the same rights, choices and chances as any other citizen. In fact, we tabled an amendment during the Committee Stage of the Care Bill which would have enshrined in law the right of disabled people to live independently. It was disappointing that the government chose to vote against and defeat this amendment. As Ed Miliband said recently, Labour also opposed the government’s plans for closure of the Independent Living Fund in the absence of a comprehensive strategy for a system of social care that protects people’s ability to live independently. As you know, a legal challenge was mounted against the government’s plans to close the Fund, and judgment was handed down before Christmas. This however confirmed that ministers have acted lawfully, and it now seems certain that the Fund will close as the government planned in June 2015. Indeed, we understand the Fund is already being wound down, and staff numbers are already reducing. Following closure, our understanding is that the funding will be transferred to local authorities, and it will be for the individual authorities to make decisions about how their resources are applied. Ed Miliband in his remarks about the plans was absolutely clear that Labour is determined to work with local authorities to protect disabled people’s ability to live independently. As Ed said, “We’ve got to find ways of protecting that money for some of the most vulnerable disabled people” if the budget transfers to local authorities. A Labour government will therefore work with disabled people, including existing ILF users, and with local authorities, to design and put in place guidance to local authorities to help protect the thousands of disabled people affected by the decision. I can also assure you that the right to live independently lies at the heart of Labour’s vision for “whole person care”, to be delivered through the integration of our health and social care systems. We are absolutely committed to working with disabled people, DPLOs, local authorities, families and carers to ensure we design the best model of support, which enables people to live the independent lives they want. Although we do not believe that simply reinstating the Fund, which had inconsistencies in delivery, would be the right way to achieve that goal, ensuring that those currently supported by the Independent Living Fund can realise that right will be central to that strategy. Thank you again for getting in touch to raise this important issue and I hope this explains our position. How many people in the Devon County Council area are currently in receipt of financial assistance from the Independent Living Fund and what is the financial value of this funding? Can the Cabinet member confirm the changes that have already been made nationally to the eligibility criteria for the fund? Does the Cabinet member agree that many people that need help to get up, get dressed, get washed and live independently face a daily struggle for support, and that these cuts and changes will reduce their health and wellbeing ? With the closure of the Independent Living Fund in June 2015, and funding being transferred to Councils, will there be a guarantee that the money will be used to support disabled people to live independently, or that former ILF users will receive the same levels of support, given the financial pressures that the council is facing because of the current Governments austerity policies? Can the Cabinet member explain to council how the new system will be operated by the county council? Does the Cabinet member expect these changes will adversely affect the lives of people with learning disabilities in Devon, and their ability to live independently to a greater extent than other groups, because of the changes in the eligibility criteria? In terms of personal care will there be year-on-year rationing? With its recent care reforms, the Government has set out an ambitious vision for the future of social care. But if this vision is to become a reality, does the Cabinet member agree that social care needs sustainable funding? To facilitate this, what representations have been made to Government Ministers and others? There are 174 people in the Devon County Council area currently in receipt of financial assistance from the Independent Living Fund and the value of this funding is 3.2million per annum. The ILF was closed to new applications in 2010. I do not agree that there have been, or will be as a result of today’s budget proposals, any cuts to the funding of assessed eligible needs for vulnerable people whether they be current ILF users or not. We do not differentiate between people when considering their eligible social care needs which lead to each individual having a personal care plan. This is the process currently applied to all Devon residents which is fair and equitable. As we currently meet assessed eligible social care needs this is not a new system to us and arrangements are in hand to ensure the 174 people currently receiving ILF assistance will all have a full assessment or reassessment of their personal needs before the end of ILF in June. We do not, have not and will not be rationing support, assessed eligible needs are fully met year on year so the member is wrong to suggest those who receive support will not receive that support in the future. The current system identifies individual needs and if there is an eligible need assessment which includes help to get up, be washed and dressed then that need will be met. The Council already supports significant numbers of people with learning disabilities to live independently and most ILF recipients will already be receiving support from DCC. The Leader and cabinet members ensure representations are regularly made to ministers and LGA representatives about funding and the need for equity. New funding streams via NHS sources add complexity. Ministers and shadow ministers have similar messages about future funding which will necessitate continual attention to reducing costs and finding efficient ways of working. #SaveILF | What are Labour planning as ILF transfers to local authorities? I am writing to you in your position as Shadow Minister for Disabled People about the future of the Independent Living Fund. It would be good to get a flavour of what we guidance is being proposed by Labour. Are these imminent? Are there any hints you could let me have? – Mainstreaming IL within broader health and social care integration plans. There isn’t a huge amount more to say at this staqe but we are keen to ensure there is a short (protect existing users), medium (monitoring changes and ensuring IL on the agenda across depts. ), and long term (mainstreaming IL within health/social care integration) approach. 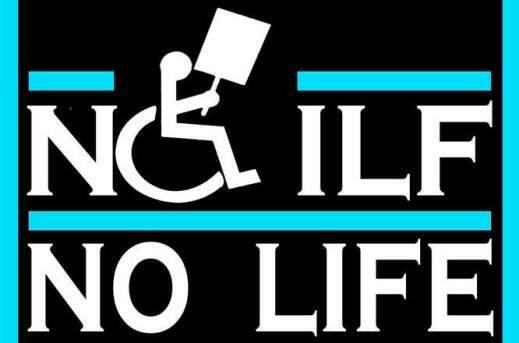 The campaign on the ILF has only focused on the 17,000 user group and not how the system needs to better support disabled people and their IL opportunities more generally. – local govt (leaving some councils cutting care services). Thank you for your email. I met with some of the campaigners at the lobby yesterday, including the mother of someone receiving ILF support and will be meeting with a further group of ILF recipients to hear their concerns, later this month. The Government’s handling of the ILF has been disastrous and has landed DWP in court multiple times but the most recent judgement means the Government will close the Fund. By the time Labour re-enters office, if we win in May, the ILF staff will have been handed redundancy notices. I have been working with the shadow local government, health and social teams on our plans. We will ensure guidance is quickly provided to councils to help identify ILF users and that transitional funding reaches the right people. The guidance should help protect ILF users from cuts to their support. One of the aims of longer term Labour plans for integrating health and social care services should also be to help support ILF users. Much of the debate about care reform is focused on older people, but working age disabled people will also benefit from proposals being drawn up by Andy Burnham and Liz Kendall. This will include ILF users.